Reaching into the past to secure the future. . . . Knowledge of the forces that shaped a significant structure is crucial to its use and interpretation now and in years to come. The Wisconsin Historical Society (WHS) Headquarters was constructed between 1897 and 1914 on the eastern edge of the University of Wisconsin-Madison campus. 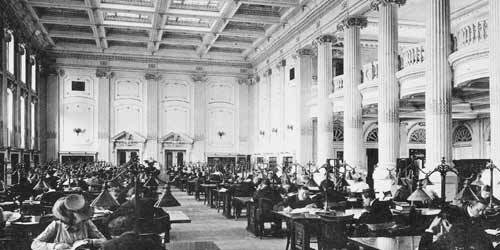 The recently completed Historic Structure Report on the Reading Room and its adjoining spaces provides pertinent documentation and offers recommendations for the restoration and rehabilitation of these areas. To learn more about the society or its headquarters, please use the links provided. The University of Wisconsin recently completed the restoration and rehabilitation of Olin House, which was built as a private residence in 1911, and currently functions as the UW-Madison Chancellor's home. As a sub-consultant to Architecture Network, Inc. of Madison, Cornerstone Preservation undertook historical research, which led to the identification of original features and an understanding of modifications that occurred over time. Cornerstone Preservation also prepared a written project overview, which included a historical narrative, preservation plan and summary of the work completed for the review of the Wisconsin SHPO. The link provided leads to an article published by the UW before the project began. The piece states its intentions for the work. "Historic Olin House set for renovation"
The historic locks are being restored under the direction of the Fox River Navigational System Authority, a body that functions as a state agency with its membership appointed by the Governor of Wisconsin. 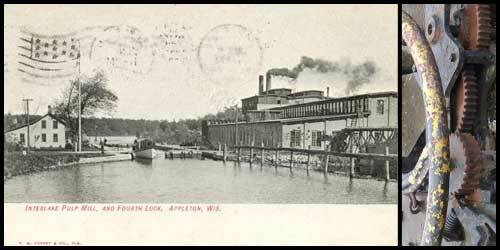 Work on the four Appleton locks was completed in 2006; restoration efforts currently are underway at Cedars Lock, which is located downstream from Appleton near the village of Little Chute. To read an excerpt from the report on the restoration and rehabilitation of the Appleton locks, please click on the following link. 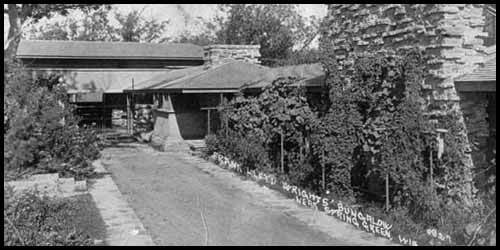 The Unitarian Meeting House was named a National Historic Landmark by the National Park Service on August 18, 2004. The Park Service offers the Meeting House nomination as a sample nomination on its website. Please use the link provided to view. Taliesin Preservation, Inc. (TPI) oversees the care and maintenance of Wright’s former residence and workplace near Spring Green, WI. To learn more about preservation activities at Taliesin, please visit TPI’s website. 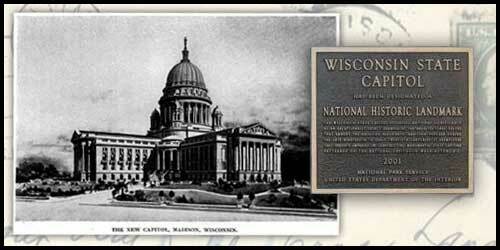 Please view the Wisconsin State Capitol National Historic Landmark nomination or browse the entire six-volume Wisconsin State Capitol Historic Structure Report by clicking on the links below. 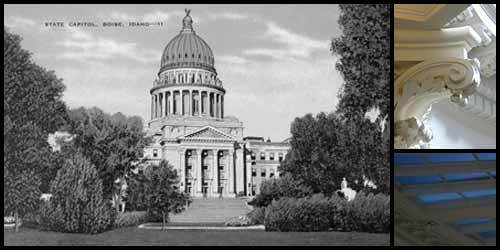 The Preservation Plan and the Master Plan for the Idaho State Capitol were completed in 2000. The restoration was put on hold in 2002, but work has resumed recently. For information about the Idaho State Capitol Preservation Plan, Master Plan and recent activities of the Idaho Capitol Commission, please click on the following link. 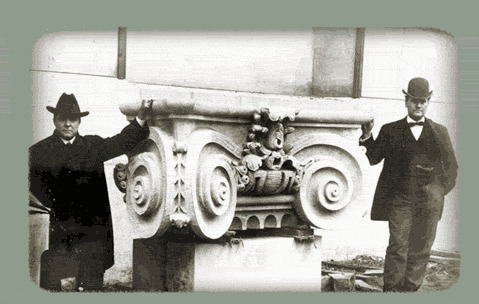 A restorative effort is a truly significant event in the life of a building. We leave our mark on the site along with a record of how, when and why decisions were made. 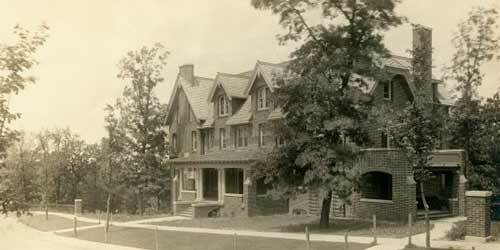 Through our work, we create a “time capsule” that becomes part of a building’s history.